Mobile phones are getting cheaper every year and so does the displays. And this leads to poor quality control of the device displays. You may notice a lot of displays getting the screen burn due to this quality issue. In this article, we are taking a look at some of the ways with which you can reduce the mobile screen burn. Modern smartphones are solving a lot of connectivity issues. However, these devices do have some of the problems of their own. Screen burn is one of the issues that modern phones are facing. And there are many reasons why screen burn happens to Android devices. Let's take a look what screen burn is and how we can prevent it. What is screen burn?Think of screen burn as discoloration of the edges. This effect does not necessarily burn the screen. And here you may notice that the mobile edges are starting to black out. The effect on screen looks like a burn and hence the name screen burn. The display, in this case, continues to work like normal display. You won't have any functionality issues. However, if the issue continues the discoloration of the edges increases in size. 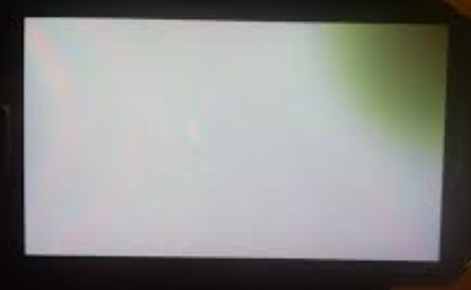 This type of the screen issue is common among the LED and LCD TVs these days. This affects the life-cycle of the display and eventually, you have to either replace the display or may need to replace the entire device. How to Prevent mobile screen burn? There are not many ways to which we can prevent this. Because often such issues occur due to the faulty displays. However, you can keep the quality displays from the discoloration. And here are some of the tips for you to avoid just that. 1. Reduce the brightness of the display. Having high brightness demands more power from the battery. And also it increases the heat on the screen and in turn entire device. This increase in heat also leads to the discoloration of the edges. 2. Reduce the screen lock time. Your mobile usually goes into the screen lock mode after 50 seconds. Some devices make it as low as 10 seconds. And that can be a good option for reducing the amount of energy taken by the battery. And sometimes it can be better to go with the low time. As that can lead to less static imagery issues that may happen. And it could lead to the eventual discoloration of the displays. When you're using the images on the lock screen and home screen, make sure they are dark. You can use the darker images for saving the battery. The more light color, the more battery and the rendering time it needs. And this leads to the screen getting heated. So you should keep up with the dark color wallpapers. You don't have to always use the dark wallpapers. Use automated wallpaper apps that can rotate dark and light wallpaper based on the time of the day. Most of the modern device manufacturers are adding this mode into the phone. Using this mode you can have different light and the color of the phone at the night. And it can save a lot of energy from the battery. And that can also be good for rendering the wallpapers as well. That's what I am using since the nougat display and it tends to reduce the battery being used. Note for Gamers- Reduce Gaming Time. Though most of the modern devices can handle hours of gaming hours but it may lead to more strain on both the device display and the battery. By reducing the time spent on the gaming, it definitely helps with the display being heated. On that point, I suggest making use the games which don't strain your device. Instead, use desktop or the console for heavy gaming. When it comes to protecting your mobile screen from the screen burn, there are plenty of ways you can use. However the above-mentioned tips you can use for reducing the heat in the phone. And that, in turn, may help again the discoloration of the device display.